Largely citing a 2018 report from the Director of Operational Test and Evaluation (DOT&E) regarding the program, POGO analysts say the Navy's F-35 fleet "continues to dramatically underperform in crucial areas including availability and reliability, cyber-vulnerability testing and life-expectancy testing." "Despite years of patches and upgrades, the F-35's most combat-crucial computer systems continue to malfunction, including the Autonomic Logistics Information System (ALIS) maintenance and parts ordering network; and the data links that display, combine and exchange target and threat information among fighters and intelligence sources," the report reads. It goes on to point out that F-35 fleets assigned to both the US Navy and the US Marines have experienced "so many cracks and received so many repairs and modifications that the test planes can't complete their 8,000-hour life-expectancy tests." Documents obtained from the US Navy by POGO show that the fully mission capable rates of both the Marines' F-35B and the Navy's F-35C were far lower in 2018 than they were in 2017. The mission capability rate determines the percentage of fighter jets that are fully functional at any given time. Furthermore, the F-35 program has also been unable to provide necessary resources to "build, test and validate onboard mission-data files that control mission accomplishment and survival." "The fact that the Navy is pushing ahead with the aircraft in spite of evidence that it is not ready for combat and could therefore put at risk missions, as well as the troops who depend on it to get to the fight, comes at the same time as the Pentagon's annual operational testing report for fiscal year 2018 shows that the entire F-35 program, the most expensive weapon system in history, is not ready to face current or future threats," the report states. 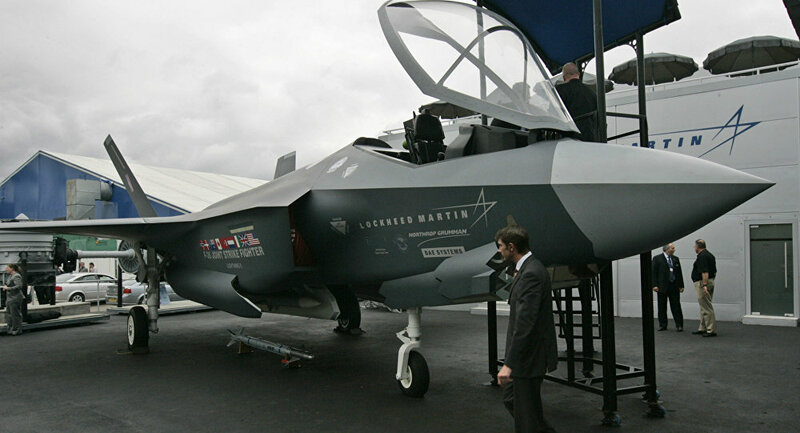 F-35 manufacturer Lockheed Martin, naturally, paints a rosier picture. In a statement to Military.com, the company revealed that both its F-35C and F-35B variants were proving strong in test performances, and that mission capable rates were on the rise as technicians and pilots become more acquainted with the fighter jet. "As more aircraft enter service, we are optimizing resources across the fleet and leveraging data across hundreds of thousands of flight hours to identify and invest in the biggest drivers to improve readiness and reduce costs," Lockheed said. "For example, we are improving supply availability and turnaround time; further enhancing system reliability and maintainability; implementing advanced analytics tools; enhancing [the Autonomic Logistics Information System]; conducting supply chain competitions; buying parts in bulk up front; accelerating modifications of earlier aircraft; and supporting the stand-up of regional warehouses and customer repair depots." The defense contracting giant also contradicted POGO's capability rate calculations, saying the F-35C fleet was in fact maintaining a 60 percent mission capable rate. The outlet noted that Lockheed used a "different measure than the fully mission capable rates" reviewed by POGO. According to Military.com, the US Navy presently has a fleet of 27 F-35 jets in its lineup, just a small portion of its order of 273 such aircrafts.